Star Deena Cortese Marries to Christopher Buckner.How's their Life? 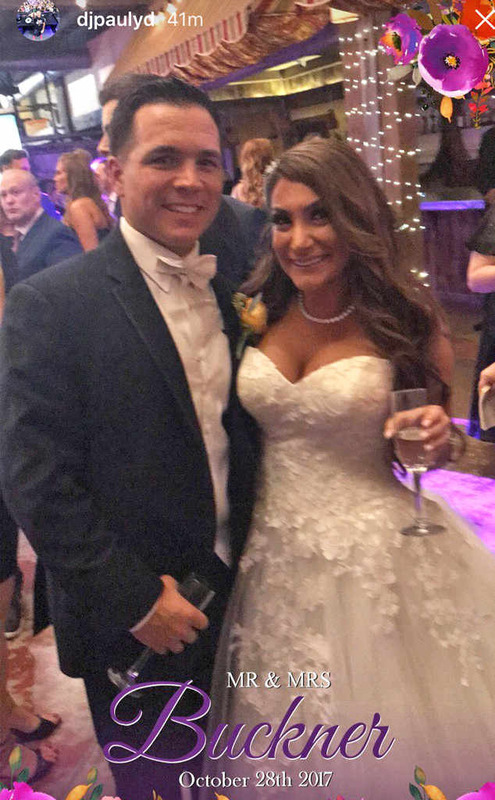 Jersey Shore Star Deena Cortese Got Married With Christopher Buckner. How’s Their Life Going On? Does Deena Cortese Still Remember Her Late Father? Star Deena Cortese and Chris Buckner were dating each other from 2011 and their relationship turned into an official relationship in November 2016 after getting engagement. Jersey Shore Star Deena Cortese is now engaged with her long tern lover Christopher Buckner. Deena Cortese was in love with Christopher for a long time and finally they tied a knot. The former reality star said “I do” to Christopher Buckner at the Laurita Winery in New Egypt, New Jersey on Saturday, nearly a year to the day he arranged the question. She might be one of the luckiest girl in the sense of getting one whom she loves from the bottom of her heart. But sometime she feels upset remembering her father who is no more in this world. Deena Cortese has posted her wedding dress’s picture on her Instagram which she had made cutting the t-shirt of her father. It shows her deep love and faith to her late father who had left the world one year before. 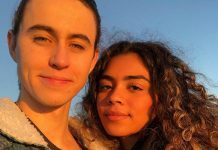 It sounds better to hear that the lovebirds have tied a knot with each others. She has frequently posted her wedding pictures on her Instagram. Her post on social media shows her love toward social media. She loves keep posting photos on Instagram. “I always knew I would spend the rest of my life with Christopher Buckner… but last night while we were walking on the Beach in Mexico he made it official! !” she wrote on Instagram -“We’re engaged!!!!!”. stay with us to get more information about Deena Cortese and her marital relationship.